Five years ago, a simple hashtag – #BlackLivesMatter – started an international activist movement. Angie Thomas was inspired by it to write a short story which quickly evolved into a YA novel. The novel, “The Hate U Give,” is a powerful and “heartbreakingly topical” story about the origins of racial hatred. 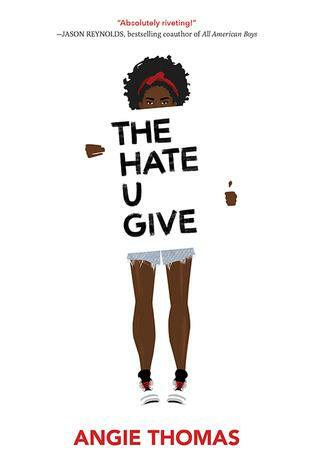 Who Should Read “The Hate U Give”? And Why? You’d think that racial injustice is a thing of the past, but – as we’ve tried reminding you quite a few times – it’s not, and will never be unless we name the things using the right words. In other words, we need to talk about injustice. Angie Thomas’ brilliant YA novel does exactly that. Read it – and you’ll realize that the story is always much more complicated and many-sided than the one presented in the media. Read it – and you’ll understand what being the same kind of different as someone else means. 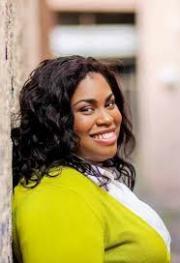 Angie Thomas is an American author born, raised and still living in Jackson, Mississippi. She grew up near the house of Medgar Evers, and her mother even witnessed the event. Angie will witness a shootout herself at the early age of six. She will learn to overcome the trauma through reading, writing, and rap music. All of these experiences, coupled with the Black Lives Matter movement, will influence “The Hate U Give,” Thomas’ debut novel which received rave reviews and whose rights for a film adaptation have already been bought by Fox 2000. Her second novel, “On the Come Up,” should be published sometime during 2019. Starr Carter is a 16-year old girl whose family lives in Garden Heights, a poor black neighborhood. However, she also attends Williamson Prep school, a fancy-schmancy private school 45 minutes away from her home which is predominantly white. At the beginning of the novel, Starr and her friend Kenya – with whom she also shares an older half-brother named Seven – are attending a spring break party. We instantly become aware of the fact that Starr is deeply aware that her life is divided between two worlds, putting her basically in a continuous lose-lose situation. In other words, she can’t act all “ghetto” at school (even though that’s part of her upbringing) since this will alienate her from her school friends. However, that’s exactly what has already isolated her from the neighborhood kids who accuse her that she prefers the rich white friends over them. Now, at the party, Starr happens upon an old best friend of hers named Khalil. She reconnects him, and when some shots are heard on the dancefloor, Starr and Khalil flee the scene in Khalil’s car. In the car, Starr and Khalil continue their conversation, and Khalil reveals to both Starr and us the meaning of the book’s title. This is – as, unfortunately, we’re soon about to learn – the most haunting theme of this book, which was inspired by the shooting of Oscar Grant, and which might have been a short story if, in the meantime, Trayvon Martin, Mike Brown, Tamir Rice, and Sandra Bland hadn’t died as well. So, you already know where this is going. While driving away from the party, Khalil and Starr are pulled over by a policeman for driving with a broken rear light. Starr notices the policeman’s number: One-Fifteen. 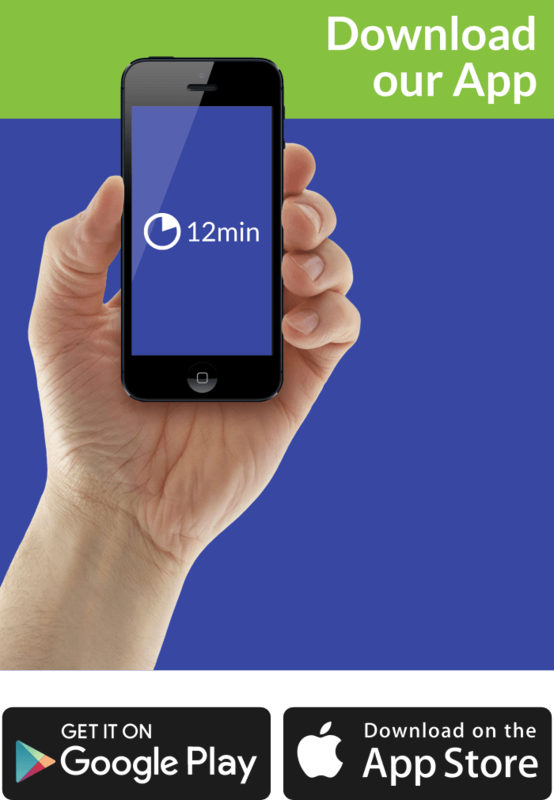 One-Fifteen – or, in actuality, Brian Cruise – asks Khalil to get out of the car and then searches him. He asks him to stay at his place while he goes back to the police vehicle. Khalil doesn’t: he opens the door of his car to ask Starr if she is alright. One-Fifteen opens fire and kills Khalil. Starr watches her friend die as the only witness of these events. However, at first, she doesn’t want to say this – or have anything to do with it. But when her whole neighborhood erupts into protests, she becomes much more involved. The very same night the murder happens, Starr happens upon an argument between her parents Lisa and Maverick and Lisa’s brother Carlos, a detective and her first father figure, over the shooting of Khalil. Carlos seems to be on the same force as One-Fifteen, and he justifies his colleague’s actions, to the amazement and shock of Starr’s parents. To the amazement of Starr herself, she learns that everything everyone seems to know about Khalil is that he was a “suspected drug dealer,” which is exactly how the news will portray him during the following days. We mentioned above that Carlos was the first father figure in Starr’s life. Starr’s actual father Maverick was once a gang member and spent some time in prison. Now, he spends most of his time arguing with Kenya’s father King, who’s a gangster and basically the local sheriff. Spring break’s over, and Starr returns to Williamson, but she tells nobody about the shooting. We meet her oldest school friend Hailey, but we also learn that things aren’t too great between them, since, after Starr posted a photograph of Emmett Till, Hailey unfollowed her on Tumblr. We also learn that Starr has a white boyfriend named Chris. At Khalil’s funeral, King, Kenya’s father, lays a gray bandana on Khalil’s body, a sure sign that he was a King Lord, a member of the notorious King’s gang. Needless to add, Starr is disgusted at the revelation. Soon after, in the family grocery store, Maverick and Starr happen upon DeVante, a teen and a King Lord. DeVante asks Maverick for some help: he wants out of the gang, but he is afraid that it may come with serious repercussions. Maverick agrees and, soon after, his wife’s brother Carlos agrees to take DeVante with him. DeVante tells Starr that Khalil was never a King’s Lord – he was asked by King, but he refused. The grey bandana was King’s way of saving his face, evening the score posthumously. In addition, DeVante informs Starr that Khalil was in the gang since he didn’t have a way out: that was the only way for him to pay back his mother’s debt. In the meantime, the case becomes a national sensation. One-Fifteen, aka Brian Cruise, goes public and states that Khalil was dangerous. In addition, we also learn that he genuinely feared for his life, since he allegedly mistook a hairbrush at the back of the car for a gun. So, now Starr goes public as well (more or less), interviewing with a hidden identity for a major TV network. She reveals that Khalil was not the bad guy everyone thinks he was and that the real problem in Garden Heights are not the teens, but the gang leader, King. At prom night, Chris tells Starr that he has recognized her voice and that he knows she is the sole witness in Khalil’s case. Starr finally opens up, and Chris learns for the first time how difficult living in Garden Heights is. Starr is supposed to testify in front of a grand jury, but a day before that, someone throws a brick at her house. Nobody likes snitches in neighborhoods such as this. In the meantime, DeVante goes missing. Starr, Seven, and Chris find DeVante at King’s house, severely beaten. Seven’s mother, Ieasha, successfully distracts her husband as the teenagers escape. Brian Cruise will not be indicted. Riots erupt in Garden Heights, and Starr lives up to her name, climbing atop a car to begin a chant in honor of Khalil. After the police teargases the protestors, Starr and her friends go to the family store. However, while they are inside, somebody sets it on fire. You don’t need to guess who: it’s, of course, King. Maverick helps his child and everyone else to safety, telling the police after their arrival that it was King who caused the fire. Suddenly, in a genuine I’m-Spartacus-Dead-Poets-Society-scene, everybody starts snitching on King, and he is arrested for arson. DeVante agrees to do the same if that means that King will be put away forever. Starr, after realizing the power of the voice and thinking about all the victims of police brutality, makes a promise to the memory of Khalil: she will continue fighting against racial injustice. “The Hate U Give” was described as “stunning, brilliant, gut-wrenching novel that will be remembered as a classic of our time” by none other than John Green. Needless to add, the book is all of those things. And we’re eagerly awaiting for the movie!